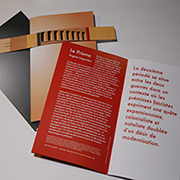 Avec / With Sophie Bélair Clément, Rebecca Belmore, Olivia Boudreau, Marie-Claude Bouthillier, Marie-Ève Charron, Sorel Cohen, Raphaëlle de Groot, Philippe Dumaine, Vera Frenkel, Andrea Geyer, Cynthia Girard-Renard, Clara Gutsche, Rashid Johnson, Marie-Josée Lafortune, Suzy Lake, arkadi lavoie lachapelle, Maryse Larivière, Emmanuelle Léonard, Deirdre Logue, Allyson Mitchell, Wanda Nanibush, Abdi Osman, Camal Pirbhai, Claire Savoie, Johanne Sloan, Jana Sterbak, Thérèse St-Gelais, Camille Turner, Rinaldo Walcott, Giovanna Zapperi. peinture Skylla, orchidées Guaria Morada (aka la fleur nationale du Costa Rica), éclairage et système de chauffage, dimensions variables | Industrial mist humidifier, dehumidifiers, Skylla paint, Guaria Morada Orchids (aka the national flower of Costa Rica), lighting and heating systems, variable size. Saturday with the Family: January 26 and March 16, 2019. “Ortiz-Apuy’s installation is certainly a gesture to the invisible forms of labour and care that drive artist-run spaces: moving like cycles of evaporated water, infinitely extracted and re-released in the air.” Sanader, Daniella. “Room Temperature.” Canadian Art, Fall 2018, p. 144-145. 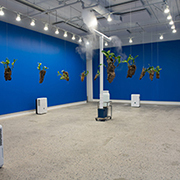 In La Guaria Morada, tropical orchids, an industrial humidifier, dehumidifiers and sky-blue paint are assembled to form an artificial environment in a perpetual state of negotiation and precarity. 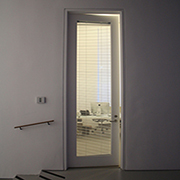 Dependent on the gallery’s lighting, heating system and staff to sustain them, the orchids parallel not only the art object—maintained via mechanisms that aim to foster and nourish artistic practice—but artist-run centres as well, equally requiring perpetual effort and negotiation in order to survive. Like a Sisyphean trope of absurdity and repetition, the installation functions as a metaphor for situations caught in similarly uncertain conditions. Centred around the national flower of Costa Rica, Juan Ortiz-Apuy regards this work as an homage to his country of origin. La Guaria Morada is a fragile ecosystem. Like Costa Rica, and more generally the developing countries of the region, the orchids are caught in the push and pull of forces in a cyclical struggle to develop. The humidifier and the dehumidifiers are literally those forces pushing and impeding the orchids in their efforts to bloom, forces that are metaphorically as much about economics as they are about foreign influence, corruption, and control. (under the direction of Bénédicte Ramade). Saturday, January 19, 2019 - 3PM to 6PM. 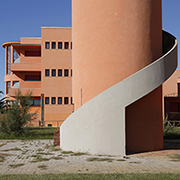 DELGADO, Jérôme. «Nature, urbanité et autres lieux à revoir», Le Devoir, January 12, 2019. Juan Ortiz-Apuy has lived and worked in Montreal since 2003. He hold a BFA from Concordia University (2008), a Post-Graduate Diploma from The Glasgow School of Art (2009), and an MFA from Nova Scotia College of Art and Design University (2011). His work has been exhibited across Canada and internationally in venues such as les Abattoirs Museum - Frac Occitanie Toulouse (France), IKEA Museum (Sweden), Carleton University Art Gallery (Ottawa), Owens Art Gallery (Sackville), Truck Contemporary Art (Calgary), Museum London (London), Gallery 44 Centre for Contemporary Photography (Toronto), The MacLaren Arts Centre (Barrie), and the Quebec City Biennial: Manif d'art 7 (Quebec). Léa Moison, 25/09 = 1 (partition) 1/5, 2018. Graphite sur papier. 104,14 x 175,26 cm. | Graphite on paper. 104,14 x 175,26 cm. variable size. Crédit | Credit: Paul Litherland. In her exhibition, 25/09=1, Léa Moison presents a series of drawings and a paper-based sculpture made from systems and their protocols that attempt to translated sound into two and three dimensions. Combining visual and media arts with a strong musical culture, the artist is developing a practice based on a compositional mode that plays on the passage from sound to the visual. Each work issues from a translation of data from a series of relays from one discipline to another, following a well-defined system of equivalencies: music thus becomes a score, which becomes a drawing, which becomes an object that becomes music, and so on. Mounted on white paper, the visual notations do not refer to musical theory and do not reveal music to be played: sound is absent and freed of correspondences of cause and effect. A volume, deploying a bare frequency, also transposes a sound into space as inspired by Iannis Xenakis who, in some projects, combined electronic music with architecture. 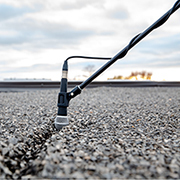 The method Moison employs involves a certain degree of freedom in production reminiscent of John Cage’s philosophy of indetermination. Cage himself described the elements of his compositions in terms of method and structure. Indeed, as with Cage, the process with Moison takes precedence over action and the artist’s subjective touch, while the outcome leaves room for a degree of unpredictability. The reproduction of the raw material—the objective data derived from the structure of a score or of a sculpture—results in the constitution of independent objects that extend the formal possibilities indefinitely. The exhibition space circumscribes an aerial universe, nearly non-existent and unreal, a dreamlike atmosphere where time has stopped. Esther Bourdages works in the visual arts and technology art field as a writer, independent curator and scholar. Her curatorial research explores art forms such as site-specific art, installation and sculpture, often in conjunction with sound. BEHA, Claire-Marine. «Les (nombreuses) expositions à voir en février à Montréal», Le Baron, January 31, 2019. With an MFA in visual and media arts from UQAM and a degree in psychology, Léa Moison lives and works in Montreal. After her studies in music and Fine Arts in Lorient, Moison decided to explore the link between the arts and to combine music, drawing, and sculpture in one space. She also works with youth in creative workshops and devises projects through which she hopes to enable young people to develop their own visual language. Juan Ortiz-Apuy, La Guaria Morada, 2016. En un ambiente tropical, los asistentes serán invitados a explorar las diferentes especies de orquídeas, a identificar sus particularidades y a reflexionar sobre el concepto de ecosistema, gracias a un taller de creación con las dos mediadoras culturales. Podrán fabricar sus propias flores a partir de diferentes papeles, inspirándose en orquídeas de diversos orígenes. Al familiarizarse con las diferentes especies existentes, sus hábitats naturales y artificiales, los participantes serán instados a establecer una relación con las nociones de biodiversidad y de ecosistema, a reconocer su importancia para el medio ambiente y la necesidad de preservarlos para nuestro futuro. In in a tropical atmosphere, visitors will be invited to explore the different species of orchids, identify their particularities and think about the concept of ecosystem through a creative workshop with the cultural mediator. They will make their own flowers from different papers inspired by orchids of various origins. The participants will be asked to make a correlation with the notions of biodiversity and ecosystem, to recognize their importance for the environment and the need to preserve them for our future. 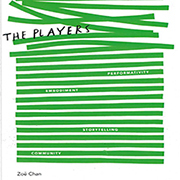 The MAI presents currently Le je et le nous / The I and the We under the curatorship of Zoë Chan with this line-up of artists: Tonia Di Risio, Kirsten Leenaars, Caroline Monnet, Alana Riley, Karen Tam, Arnait Video Productions + Shirley Bruno. In parallel Chan launches a publication that documents a cycle of exhibitions, including Performing Lives presented to OPTICA in 2018. Available at OPTICA. 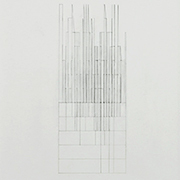 Pavitra Wickramasinghe, Studio Experiment, 2013. Photographie numérique, dimension variable. 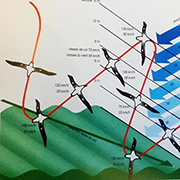 This satellite project—off OPTICA’s premises—is jointly produced with artist Pavitra Wickramnasinghe. 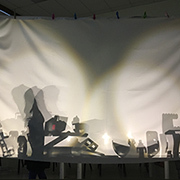 Children from the La Sourithèque will help create a collective kinetic work, a fantastical shadow play temporarily set up in their own environment. The project is an invitation to a journey, an encounter with the other, and aims to help kids discover their friends’ cultures. Théâtre d’ombres receives support from the Foundation of Greater Montreal as part of the 2018 Community Initiatives program, which follows the United Nations’ sustainable development objectives. OPTICA's educational program is supported by the Foundation of Greater Montreal, Community Initiatives Program 2018, and the Caisse Populaire Desjardins du Plateau-Mont-Royal. Juan Ortiz-Apuy, La Guaria Morada, 2016. Humidificateur industriel, déshumidificateurs, peinture Skylla, orchidées Guaria Morada (aka la fleur nationale du Costa Rica), éclairage et système de chauffage, dimensions variables | Industrial mist humidifier, dehumidifiers, Skylla paint, Guaria Morada Orchids (aka the national flower of Costa Rica), lighting and heating systems, variable size. Crédit | Credit: Paul Litherland. Aunado a la exposición La Guaria Morada de Juan Ortiz-Apuy, presentada en OPTICA del 19 enero al 16 de marzo 2019, el evento « La magie des orchidées » le brinda a los jóvenes visitantes y a sus familias la oportunidad de descubrir la instalación en presencia del artista y de las mediadoras culturales del centro. La exposición La Guaria Morada de Juan Ortiz-Apuyintroduce orquídeas tropicales, un humificador industrial ultrasónico y deshumificadores con el fin de crear un ambiente artificial en un estado de negociación y de precariedad perpetua. Dicha instalación, cuyo verdadero ecosistema frágil se centra alrededor de la flor nacional de Costa Rica, hace referencia al país natal del artista y remite a las situaciones dadas en condiciones tan inciertas y vulnerables. Dependiendo de la iluminación de la galería y del personal necesario para su mantenimiento, las orquídeas se asemejan al objeto de arte, mantenidas por sistemas destinados para favorecer y nutrir la práctica artística. Además de poder beneficiar de la presencia del artista en la galería de 19h a 22h en un ambiente tropical, los asistentes serán invitados a explorar las diferentes especies de orquídeas, a identificar sus particularidades y a reflexionar sobre el concepto de ecosistema, gracias a un taller de creación con las dos mediadoras culturales. Podrán fabricar sus propias flores a partir de diferentes papeles, inspirándose en orquídeas de diversos orígenes. 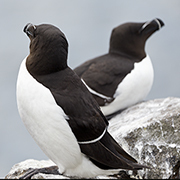 Al familiarizarse con las diferentes especies existentes, sus hábitats naturales y artificiales, los participantes serán instados a establecer una relación con las nociones de biodiversidad y de ecosistema, a reconocer su importancia para el medio ambiente y la necesidad de preservarlos para nuestro futuro. El taller se llevará a cabo de manera continua hasta 1 AM. Se les servirán jugos y frutas a los noctámbulos. Esta actividad está particularmente destinada a un público joven y a sus familias, pero podrá ser adoptada a todas las edades. Part of the exhibition "La Guaria Morada" by Juan Ortiz-Apuy, presented at OPTICA from January 19 to March 16, 2019, the event "The magic of orchids" offers to young visitors and their families the opportunity to discover the installation in the presence of the artist and the cultural mediators of the center. Visit commented by the artist in Spanish at 8 pm and in English at 10pm. 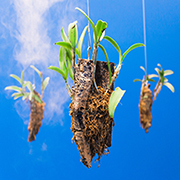 Juan Ortiz-Apuy’s exhibition La Guaria Morada uses tropical orchids, dehumidifiers, and an ultrasound industrial humidifier to create an artificial environment in a constant state of negotiation and precariousness. Centred on Costa Rica’s national flower, the installation—a truly fragile ecosystem—refers to the artist’s home country and to situations caught in conditions as uncertain as they are vulnerable. Dependent on gallery lighting and the staff required for its maintenance, the orchids are like art objects, which are maintained by systems that favour and sustain artistic practices. 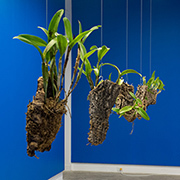 In addition to enjoying the presence of the artist in gallery from 19h to 22h in a tropical atmosphere, visitors will be invited to explore the different species of orchids, identify their particularities and think about the concept of ecosystem through a creative workshop with the cultural mediator. They will make their own flowers from different papers inspired by orchids of various origins. The participants will be asked to make a correlation with the notions of biodiversity and ecosystem, to recognize their importance for the environment and the need to preserve them for our future. The workshop will run continuously until 1AM. Juice and fruit will be served to night owls. This activity is particularly aimed at young people and their families, but can be adapted to all ages. Parents and friends are welcome! 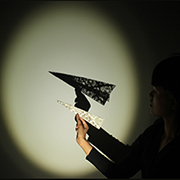 Following a series of workshops with artist Pavitra Wickramasinghe, the souriceaux performed a collective kinetic work, a fantastical shadow play temporarily set up in their own environment at La Sourithèque. Come discover their artworks: an invitation to travel and to meet each other! CPE La Sourithèque's mission is to provide a stimulating living environment for children in the Center-Sud neighborhood, while ensuring their health, safety, and full development and well-being. 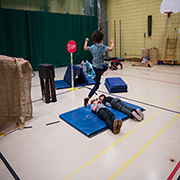 Théâtre d’ombres is OPTICA's first youth exhibition in a daycare centre. Théâtre d’ombres receives support from the Foundation of Greater Montreal as part of the 2018 Community Initiatives Program, which follows the United Nation’s sustainable development objectives. OPTICA receives support from the Canada Council for the Arts, the Conseil des arts et des lettres du Québec, and the Conseil des arts de Montréal. The educational program is supported by the Foundation of Greater Montreal, Community Initiatives Program 2018, and the Caisse Populaire Desjardins du Plateau-Mont-Royal. Pavitra Wickramasinghe is interested in new ways of conceptualizing the moving image and in the conventions of seeing. Her current work is an exploration of notions of travel, the fluidity of place, and memory. She uses light and shadows as extensions of the projected image to create installations where the viewer occupies filmic space within the work instead of viewing it from the outside. She is a recipient of numerous residencies, awards and grants including UNESCO-Aschberg Bursaries Programme for Artists, Changdong Art Studio, National Museum of Contemporary Art (South Korea), Canada Council for the Arts and The Claudine and Stephen Bronfman Fellowship in Contemporary Art. She has exhibited in Asia, Canada and Europe. 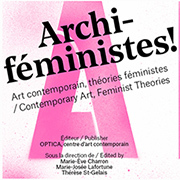 Montreal and Toronto Launches, new publication: ARCHI-FÉMINISTES! Bringing together an important body of work produced between 1970 and the present, this publication analyzes historical and current issues of feminisms by proposing crossed perspectives on the field of art history and its oft-interrogated construction. Feminist manifestations are examined in light of practices that persist in their resistance and that compel us to reexamine social norms through activism, citizen mobilization, and sharing communities. Striving to bring new insights to our attention, these contributions take up theoretical feminist models, but also reference cultural, decolonization, and queer studies. Archi-féministes! 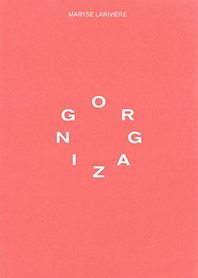 is the title of the eponymous exhibition presented by contemporary art centre OPTICA in 2011 and 2012, which highlighted the contributions of female artists to its history and to the network of Canadian artist-run centres. CDCC is located at Artscape Youngplace, a wheelchair accessible building with a ramp at the 180 Shaw Street doors, an elevator servicing every floor, and an accessible washroom on every level. The TTC’s 63 Ossington bus stops nearby and is wheelchair accessible. Adam Basanta, A Large Inscription, 2018. Family Saturdays: May 4 and June 15, 2019. The philosopher Edmund Husserl spoke of two basic modalities of time, fixed and flowing, and turned to melody to illustrate their knitting-together. For him, the experience of unified time involved retaining the immediately preceding—what just happened—in such a way as to anticipate what was yet to come. It is on these terms that Adam Basanta’s latest works invite us to contemplate an impasse in our time-consciousness. What happens to time’s succession, and our self-awareness as lived through it, once we find ourselves totally habituated to coordinated universal time? What happens when, in spite of cultural differences that variegate time’s experience, we objectify our lives so thoroughly as to be paralyzed from imagining any shared anticipation of the future? Updating Husserl, the philosopher Bernard Stiegler diagnoses the problem as one of hypersynchronization. As all of us punctuate our days with constant injunctions to communicate, to ‘have our say’ no matter how mundane, Basanta’s pieces index a fraught moment in our modern relationship to time, even as they evoke certain ancient pathologies around time’s accomplishment. Saturday, May 25th, 3 pm to 4:30 pm between Adam Basanta and Eli Kerr. 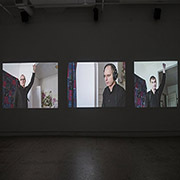 Adam Basanta’s work explores technological practices as performances distributed throughout a variety of human, cultural, material and computational agencies. 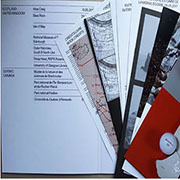 His work has been exhibited worldwide, including at Fotomuseum Winterthur (CH), Arsenal Art Contemporain (CAN), National Art Centre Tokyo (JPN), and the V Moscow Biennale for Young Art (RUS). Jo-Anne Balcaen, David Zwirner, Tuesday, January 13, 2015, 5:24 pm, 2015-2019. Internal Dynamics, an installation of photographs with soundtrack by Jo-Anne Balcaen, is the latest iteration of works that delve into the psychic experience of artists who grapple with what Bourdieu called the inverted economy, where artists don’t make work to earn a living but earn a living in order to make work. Conditioned by years of experience as a former exhibition coordinator, Balcaen’s candid perspective on the art world results from the artist’s own ambiguous position within the field as both an insider and an outsider and the effect this condition has on her psyche as she strives for self-actualization. Distilled from dozens of pictures surreptitiously taken while visiting the internationally renowned galleries of New York’s Chelsea district, the large, lush architectural portraits seemingly bring the galleries’ private spaces within reach, while photos of the barriers used to limit access reinforce the feeling of distance. In contrast, others document the more humanizing details that reside in the shadow of the white cube’s persistent aura: dirt, storage, cluttered desks. The large-scale gallery images fit seamlessly into OPTICA’s gallery space, leaving one to wonder about the elusive reputational metrics that determine the spectacular gap that exists between high-end galleries and artist-run centres, and the artists who make it and those who don’t. 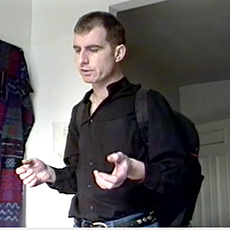 Overhead, a soundtrack plays an inner dialogue that will strike a chord with those who share a similar experience as artists and cultural workers nesting multiple roles within the art world, not only to survive, but to thrive, as singular subjects with agency over their destiny despite limited opportunities and bouts of crippling doubt. Balcaen’s white cube is a generative site of existential enquiry, offering opportunities she continues to respond to, at her pace, and for our experience. MAVRIKAKIS, Nicolas. «Dynamique interne»: le cube blanc renversé», Le Devoir, April, 20 and 21, 2019. Jo-Anne Balcaen is a Montreal-based artist who has worked in video, installation, sculpture, and photography. Her work, which has drawn on references as diverse as popular music and the inner workings of the art world, has been presented throughout Canada, in the US and in Europe. She holds a BFA from the University of Manitoba, and an MFA from Concordia University. Around the work of Jo-Anne Balcaen, Adam Basanta! OPTICA invites you to live a great adventure with the two cultural pirates of the center. Together, we will go to discover the exhibitions of Adam Basanta and Jo-Anne Balcaen. We will sail on the great sea of contemporary art and confirm a well kept secret. 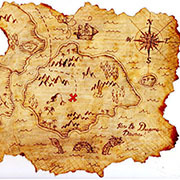 In order to find the treasure, you will have to complete the ultimate test of making your own seal. Part of his solo exhibition at OPTICA, A Large Inscription / A Great Noise, Adam Basanta meet with Eli Kerr in the form of a public conversation. Eli Kerr is a curator and writer based in Montréal. In 2016 Kerr co-founded VIE D’ANGE with Daphné Boxer. The project exists as a broad framework for curatorial activities which both emanate from, and extend beyond an old auto body garage, that serves more as an apparatus than a site for their initiatives. With a focus on supporting new, intimate and experimental artist’s projects, their exhibition programme exists as an episodic series of sequential, yet nonlinear narratives. 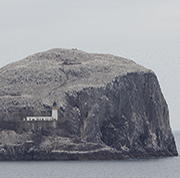 Kerr has been awarded curatorial residencies at International Studio and Curatorial Program, New York (2017) and at Rupert, Vilnius, Lithuania (2018). He is the recipient of the 2019 Hnatyshyn Foundation Award for Canadian curators under 30 and will be in residence at Fogo Islands Arts, Newfoundland, Canada, this fall.